Want to be a SCHOLAR? The NTSE 2018 stage - 1 exam is around the corner, are you prepared for it? Well, if not, then you still have time to make it up with your last minute preparation for NTSE. The main factor of all achievements is to get started on time with the right elements. So, start your preparation in a right order (Do or Die chapters first) to achieve your goal (NTSE Scholarship). 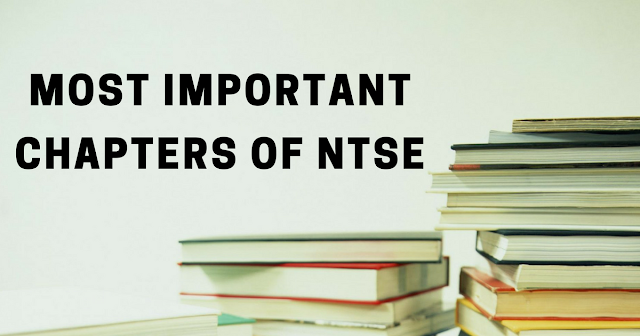 SAT & MAT is the most important subjects in NTSE, make sure to prepare these subjects first. Practice Do or Die Chapters on Social Science - Click here. Practice Do or Die Chapters on Science - Click here. Practice Do or Die Chapters on Mathematics - Click here. Practice Do or Die Chapters on Mental Ability - Click here. Practice Do or Die Chapters on English Language - Click here. Practice Do or Die Chapters on General Knowledge - Click here.